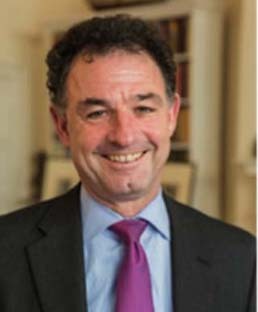 Dr Parry qualified in 1984 after training at St Bartholomew’ Hospital in London. He spent a good deal of his childhood abroad although he was educated at English schools and university. Beginning his career in the NHS, he was a full time principal GP until setting up his private practice in 2002. Married with three children, he has a particular interest in child health issues, travel medicine and health screening and is Medical Officer to a charity that cares for sick and disabled people. Dr Christopher Parry and his team adopt a highly professional and caring approach, allowing patients the time they need to discuss their concerns in a comfortable environment. The highest quality of medical care is provided within a prompt timeframe to suit individual�s lifestyles. Keeping fit and healthy is vital if we are to enjoy life to the full. Regular exercise, a balanced diet and screening are all ways of helping to safeguard our health throughout our lives. For most people, screening reassures them that they are in good health, but for a minority it can uncover potentially serious illness in its early stages. Health screening also allows you to talk about health concerns in complete confidentiality; routine results are not passed on to your GP but should anything serious be found the clinic will write to your doctor once it has your permission. Private consultations with Dr Parry. There is no need to be referred you may simply make an appointment that suits you in the knowledge that you will have the time you need to discuss your health worries in complete confidence. Single vaccines for children in place of the MMR combined vaccine. Travel vaccines for business and leisure trips. We can provide the common vaccines as well as the more sophisticated ones. We are a registered Yellow Fever Centre. Flu vaccines seasonally available to the individual or to company employees. Seasonal Hay Fever steroid injections. Cosmetic procedures using Botox and Restylane and the removal of small moles and warts etc can be performed. Medico-legal assessments for accident victims. Insurance Medicals, HGV, PSV, Taxi and Diving reports.